​Bulldogs come into Rescue for a variety of reasons. In order to provide the most appropriate care and placement, we ask that you are 100% honest in completing our surrender form. Whatever the reasons, we are not here to question your motives for surrendering your bulldog. We understand this is a difficult decision and we will answer any questions you may have to help you to make the best decision for you and your bulldog. 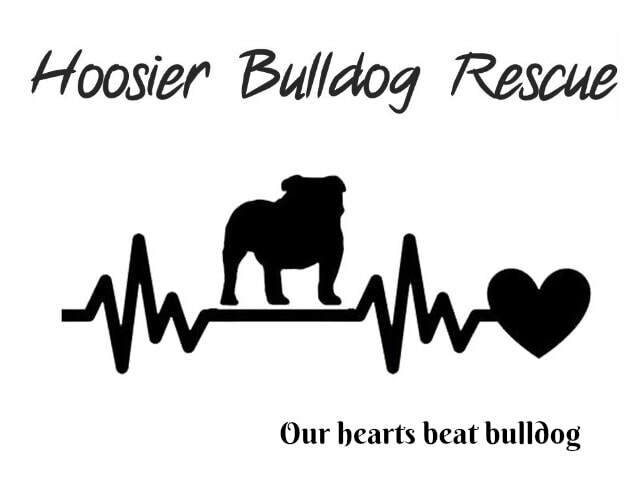 Please note that Hoosier Bulldog Rescue is an English and French Bulldog Rescue. While we love all dogs, we have limited space and resources, and are therefore unable to accept other breeds, including other bull breeds. If you would like to email us first to see if we have any open foster homes, you may do so. If we feel we may potentially be able to take your dog, we will refer you back to this page to fill out a Surrender Form so we have more information. Please visit our Resource page if you are interested in learning more about local resources to assist owners in keeping their pets. If you are in need of surrendering your bulldog to HBR, please complete the below surrender application. Note that you must fill out ALL required fields, including a recent photo of your dog in order for the application to submit. If we are able to accept your bulldog into our rescue, you will be asked to sign a document that legally turns ownership of your bulldog over to Hoosier Bulldog Rescue.